There are over 3,500 oil and gas rigs in the Gulf of Mexico, past the shores of Mississippi and Louisiana. These rigs are spread out and located in different depths of water. In essence, they comprise part of an artificial, reef system. This available habitat equals world-class fishing, all year. Rig fishing is especially popular, due to the exciting expectation and intrigue of anglers! Captain McClure knows firsthand which specific rigs tend to hold certain species of fish. He also knows which fishing methods to use at specific rigs; for example, casting lines or dropping lines, to the bottom. 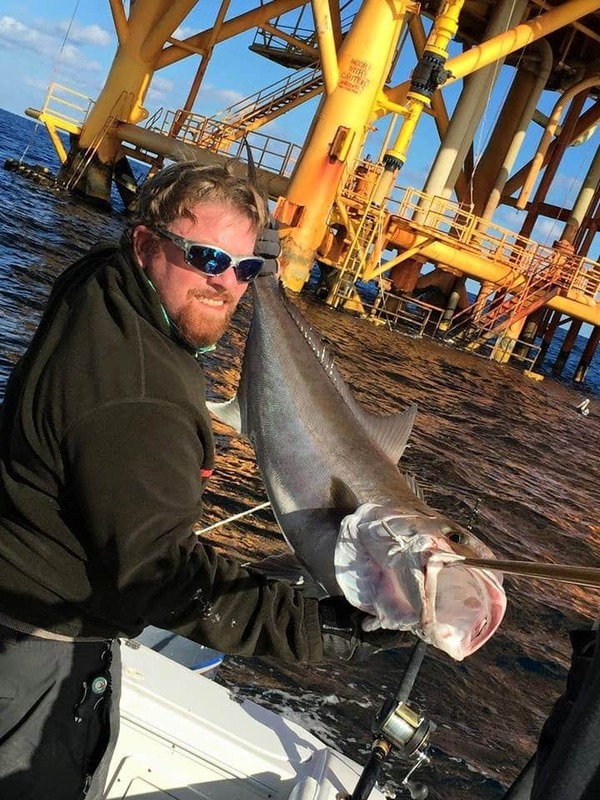 Scores of fish species frequent rigs; however, anglers tend to seek snapper, cobia, grouper, amberjack, dolphin fish, king mackerel, redfish, and barracuda, etc. Contact us today to book an exceptional, unforgettable, fishing trip, with Biloxi Bluewater Charters!